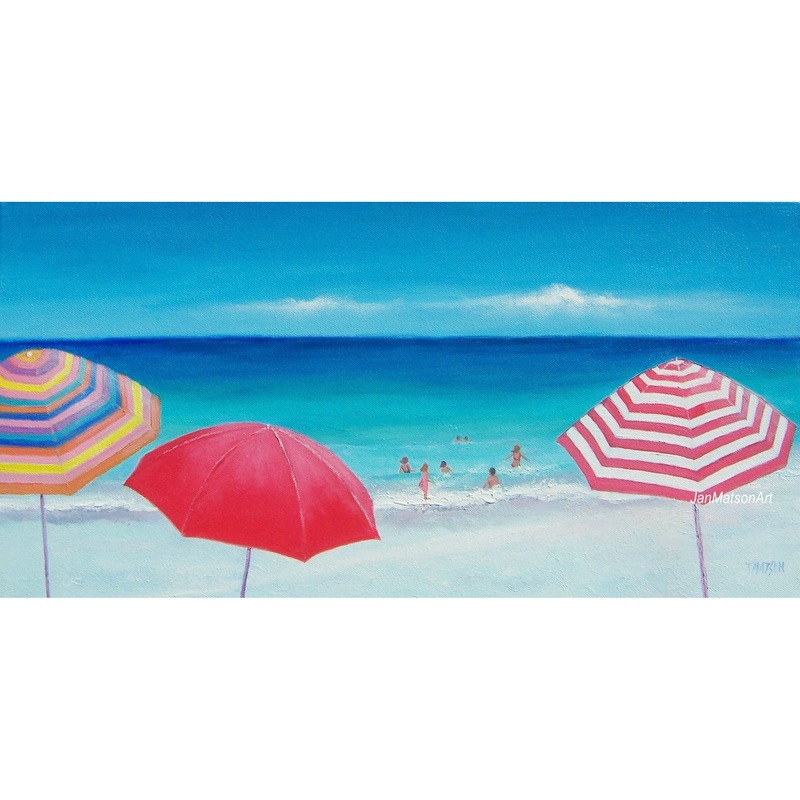 The stretched canvas measures 24" x 12" x 1 1/2" side edge. This painting is complete and ready to hang with d rings and wire. 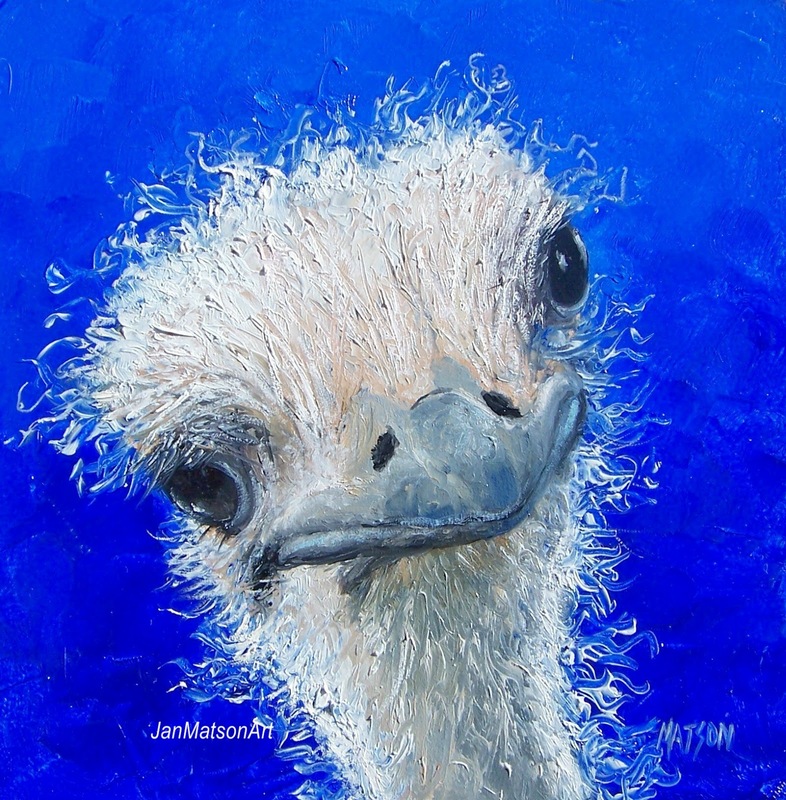 Waldo, the Ostrich, a colorful bit of fun! 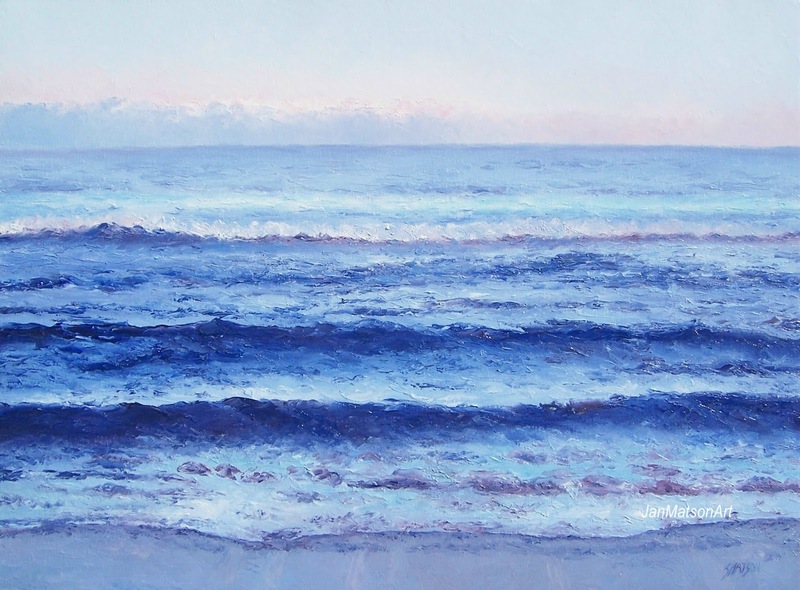 Ocean painting on stretched canvas 16" x 20"
I love the peacefulness of the ocean at dusk. Oil on panel 8" x 10" unframed. I'd love to be living further north today, it is so cold and foggy today! 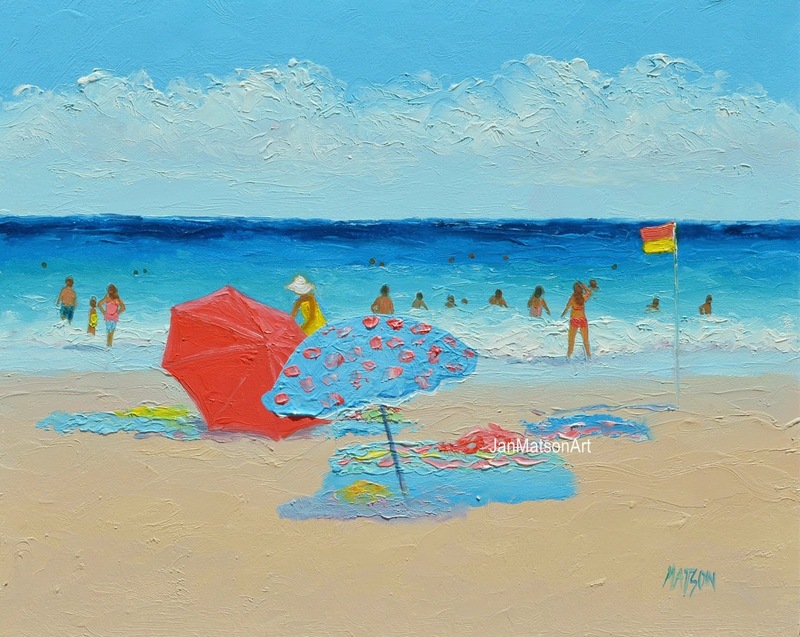 Would love to be soaking up the sun too! I love to watch the parade of happy people passing in front of me! Oil on panel 8" x 8" unframed. 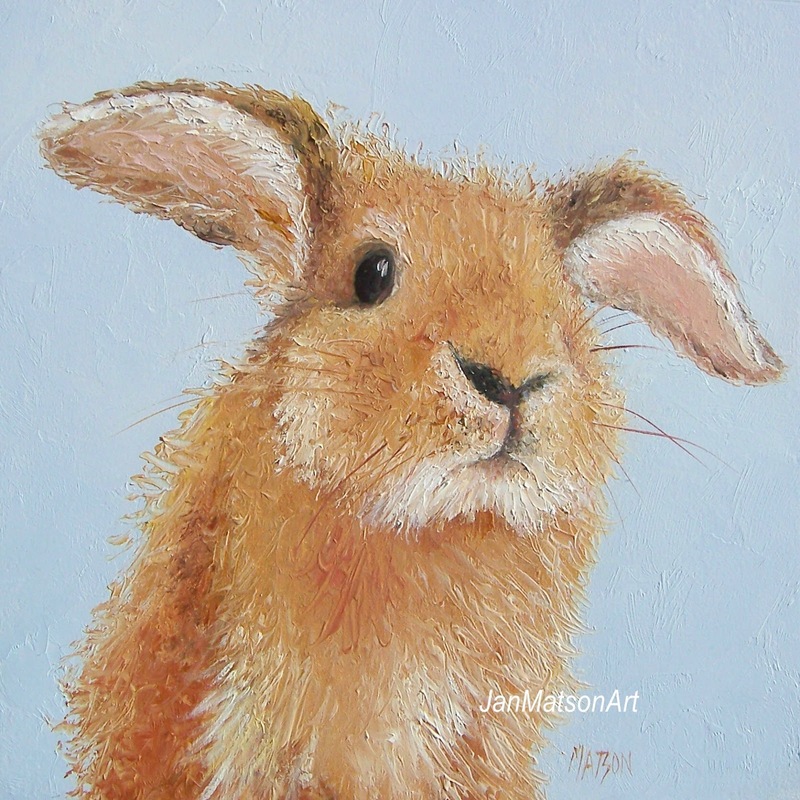 A cute little bunny rabbit for a child's room or bunny lover! 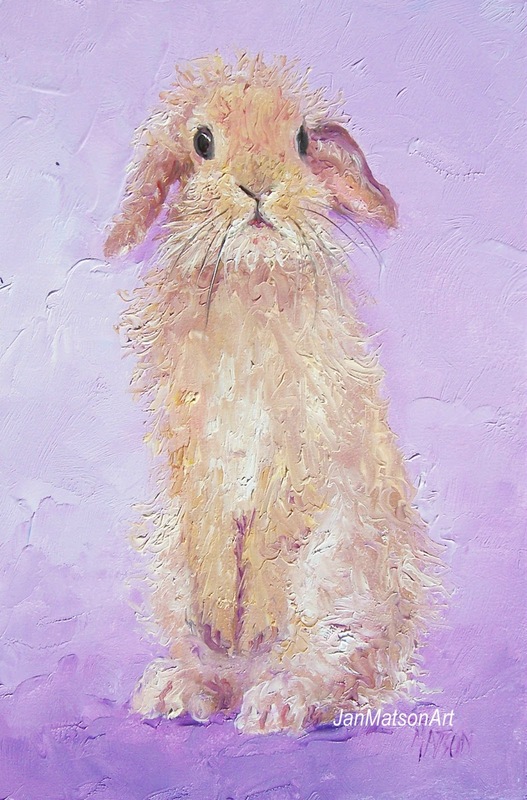 A cute bunny for a child's nursery, or just a bunny lover! 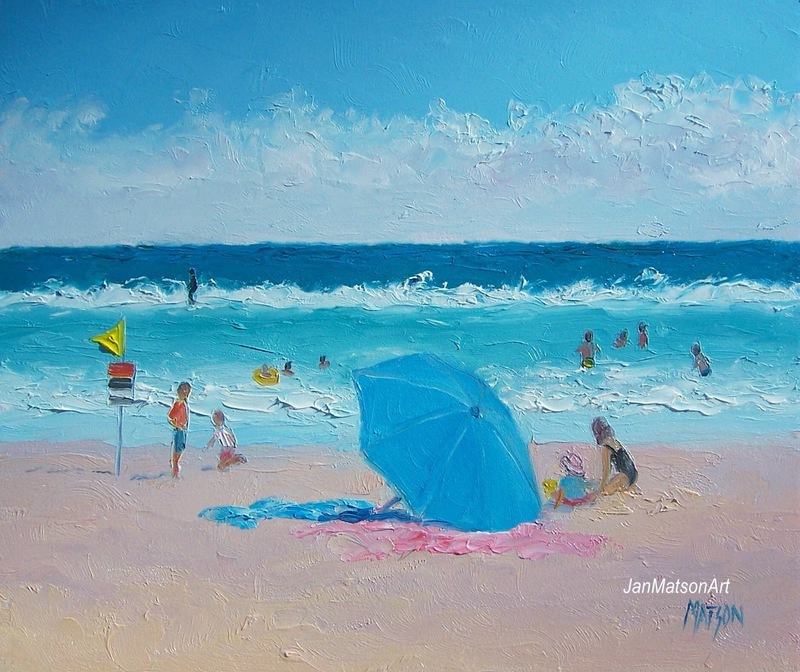 Oil on stretched canvas 20" x 16"
I wish I were at the beach today! It's cold and wet here! 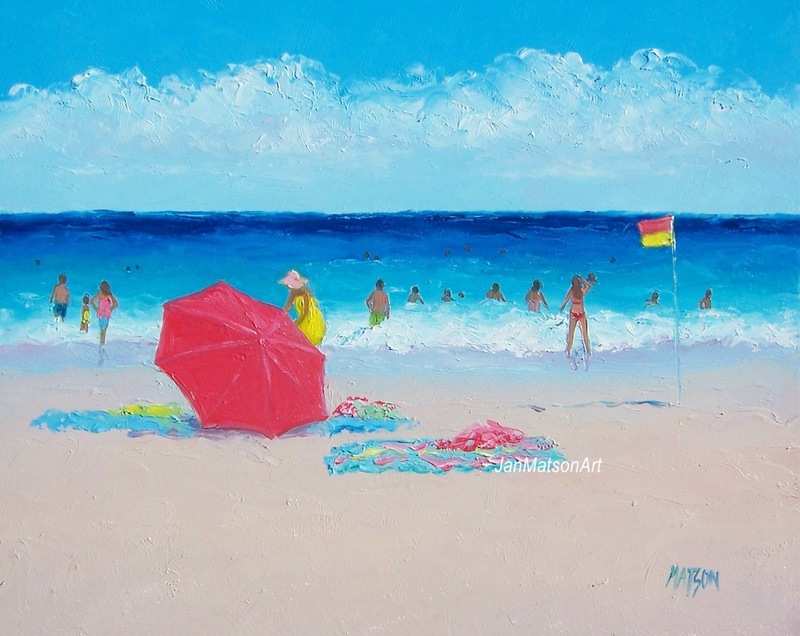 “Oh so sweet summer vacation, life in the heat”. 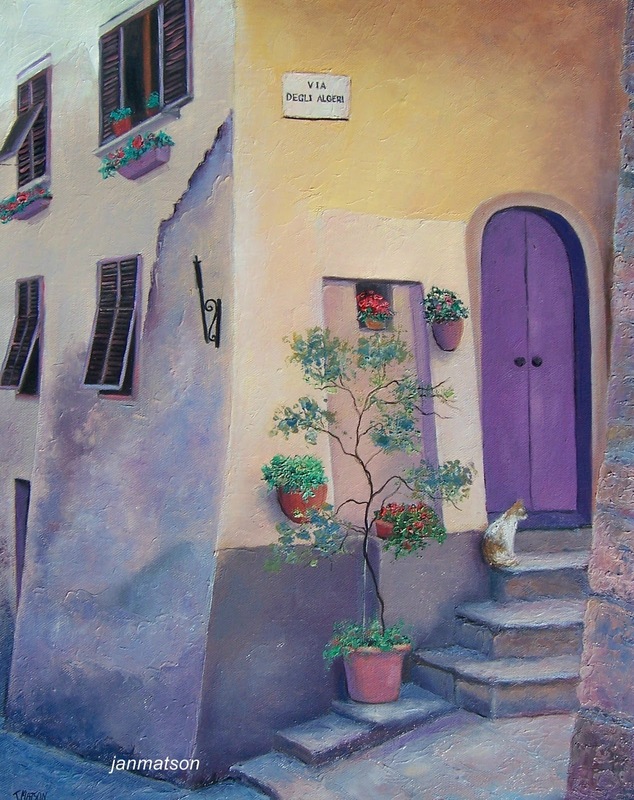 A bright splash of color to liven up your day! Oil on panel 8" x 5 1/4" unframed. 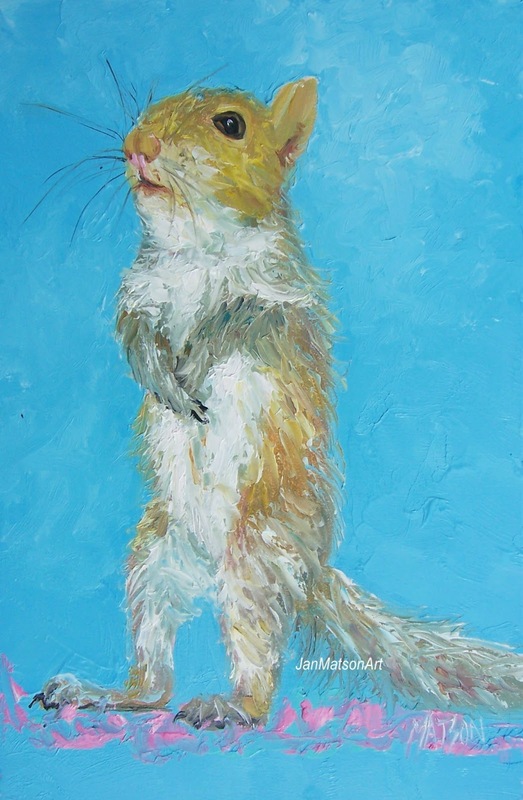 A cute squirrel for a nursery, children's room decor or animal lover! 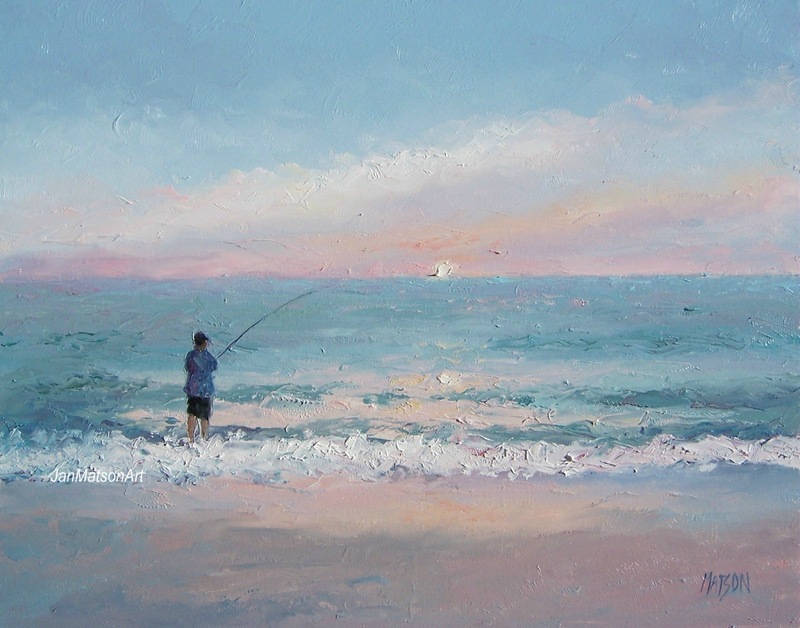 Oil on panel 7" x 4 1/2" unframed. 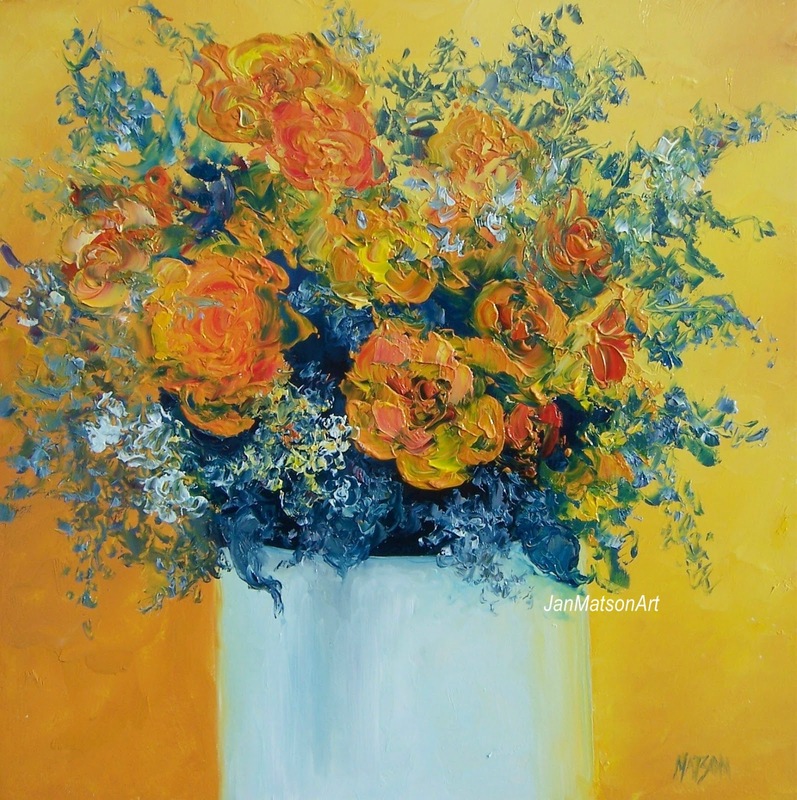 A delicious oil painting to brighten up your kitchen decor! 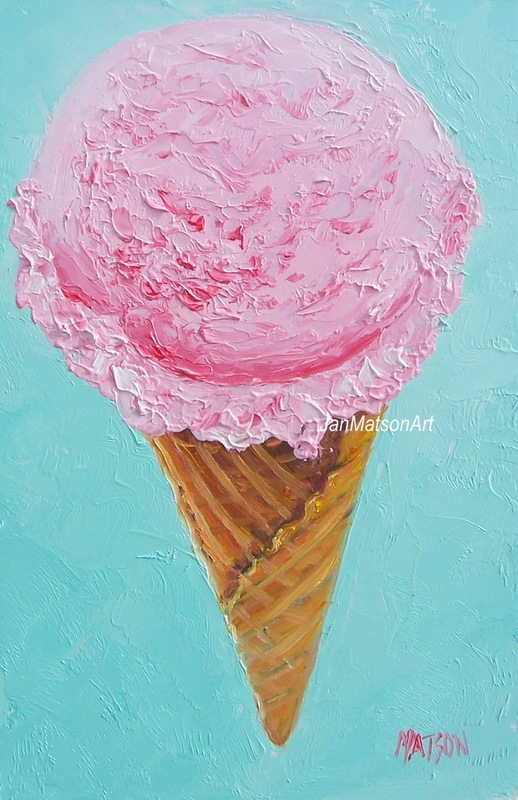 Labels: cafe art, etsy art, home decor, Ice Cream Cone painting, icecream art, kids room art, kitchen decor, kitchen painting, original oil by Jan Matson. Oil on panel 8" x 6.75" unframed. 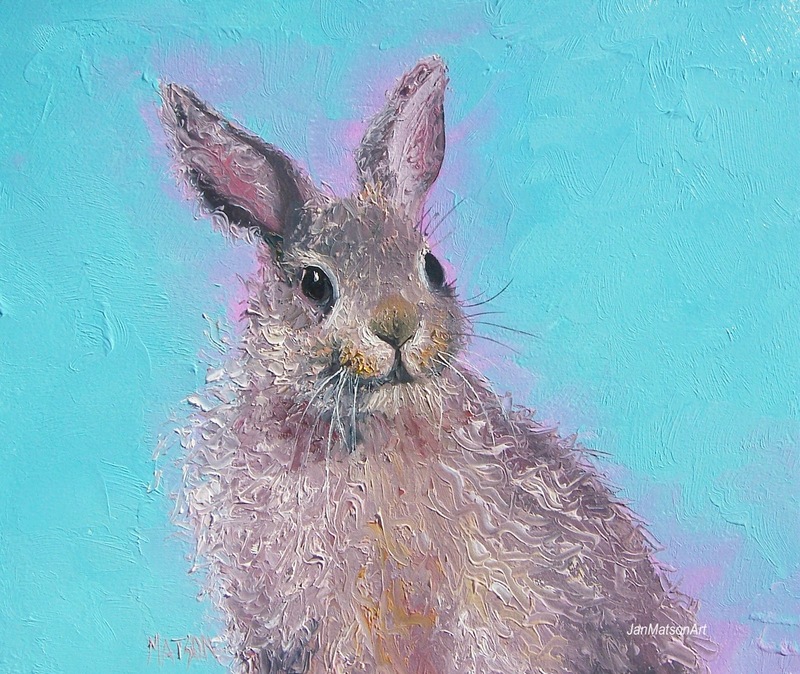 A cute little rabbit for your kitchen decor or child's room! A delicious frosted cronut (a cross between a donut and a croissant). Yum! 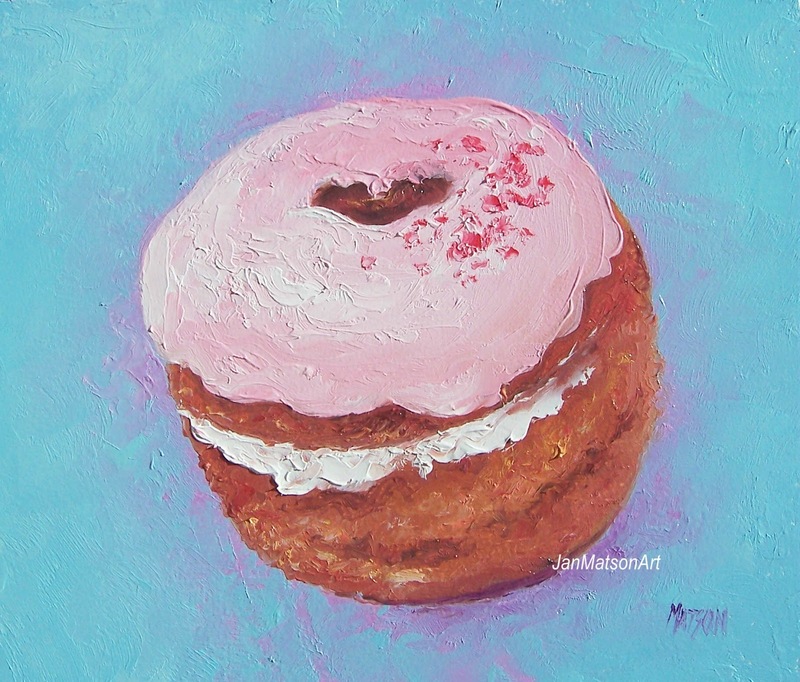 Labels: cafe art, cake painting, Cronut painting, donut art, kitchen decor, kitchen painting by Jan Matson. 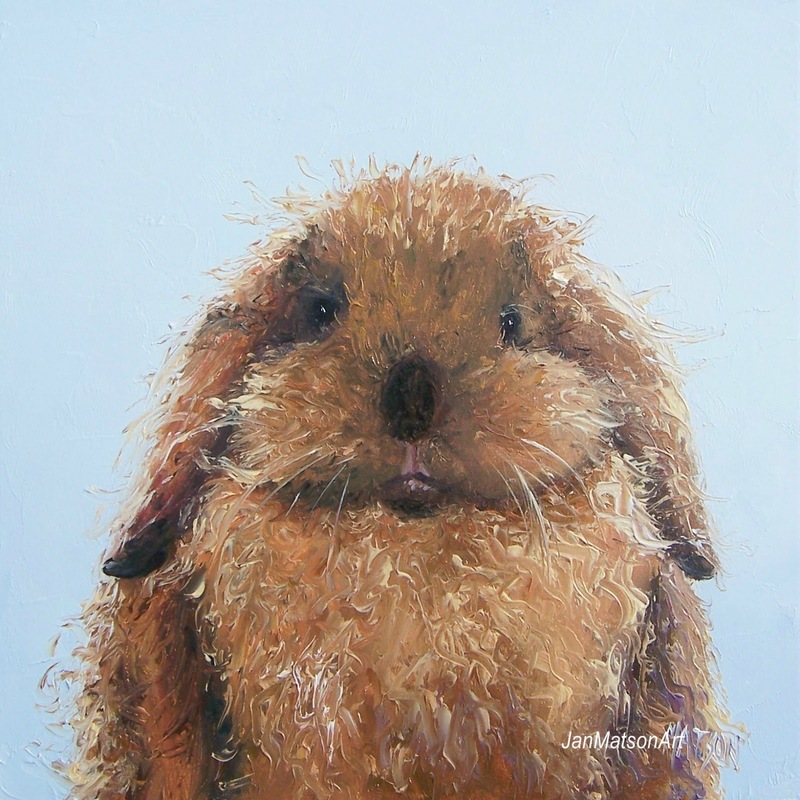 A cute painting for bunny lovers or for a kid's room.